These 13 inch carpet scrubbing bonnets are sold individually and can be used with any of the 13 inch floor buffers that we carry, as well as any other models on the market. 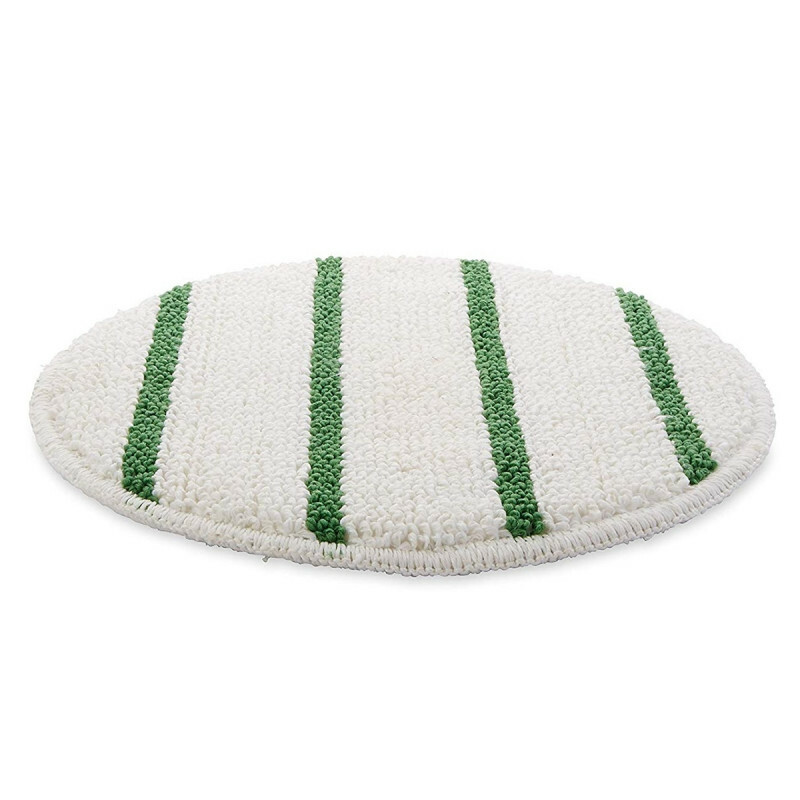 The white part of the bonnet collects dirt, while the green stripes agitate and break the dirt free from your carpet. For use on traffic areas and heavily soiled areas. You will use these bonnets to scrub heavily soiled area and then follow up with a complete carpet extraction to fully remove the dirt and solution. Each bonnet can be used on both sides and should be used with plenty of solution (sopping wet). A normal carpet bonnet will cover about a 10' x 10' area before it needs to be changed and laundered. For other styles and size options, please feel free to check out our full line of carpet bonnets.